This workshop will make you rethink how you practice handstand forever! 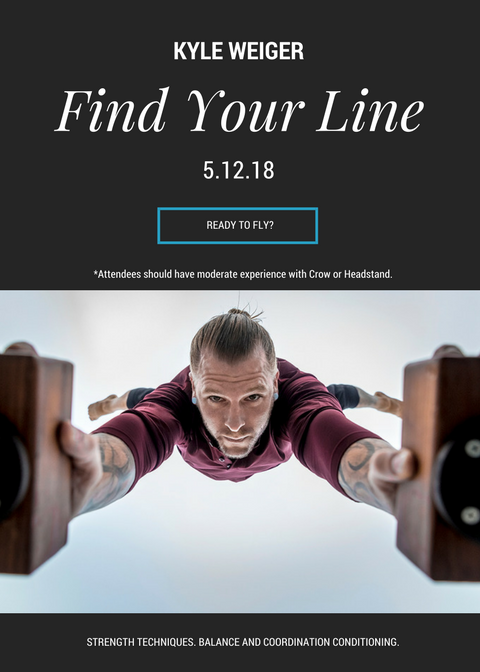 Join Handstand Coach, Kyle Weiger, for an afternoon of playful handstand conditioning that combines the mental focus of Yoga with the strength techniques of Gymnastics, so you can hold your handstand in the middle of the room like never before! The handstand drills in this workshop will give you an entirely new sense of strength, balance, and coordination. Reserve your spot now as space is limited! *Attendees should have moderate experience with Crow or Headstand.